Roland “Lloyd” Deines was born on December 15, 1929 in Russell, Kansas to his parents Ludwig Deines and Kathrina Krug. He was one of seven children and grew up in the small town of Moran, Kansas. Lloyd attended St. John’s College in Winfield, Kansas just before joining the United States Navy in 1951. In 1953, Lloyd married his high school sweetheart and love of his life, Pauline Foster, in Fort Scott, Kansas. Lloyd and Pauline were married for sixty-six years. Lloyd passed away peacefully on February 1, 2019 in the care and presence of his beloved wife and family. Lloyd enjoyed life thoroughly and had many talents. He was an excellent trumpet player and enjoyed painting and drawing. He was very athletic, and he excelled at basketball, softball, bowling, and golf. He was a family man that loved his children, grandchildren, and great grandchildren very, very much. His family brought tremendous joy to his life. Lloyd was proud of his German heritage and devout in his faith to God. He worked very hard in his life and retired from Public Service Company in 1991. Lloyd is survived by his wife, Pauline Deines; his daughters, Paula (John) Wrenn and Amy (John) Neal; grandchildren, Jill Wrenn, Travis (Emily) Wrenn, and Jesse (Amber) Neal; great-grandchildren, Jesse Neal and Aubree Neal. 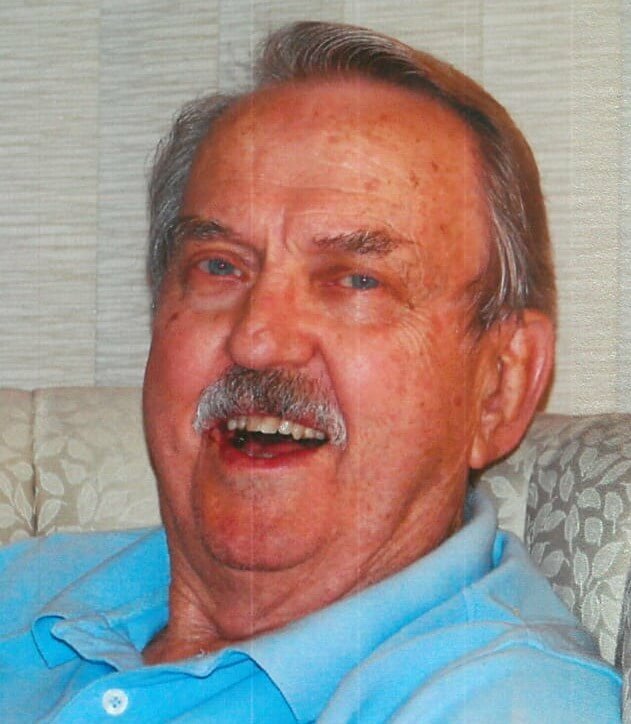 A memorial service to honor Lloyd Deines will be held on Thursday, February 14, 2019 at Eleven O’clock in the morning at Horan & McConaty, 3101 South Wadsworth Boulevard, Lakewood. A reception will follow this service at this same location. May the power and promise of the Lord’s Resurrection give you comfort and strength at this time. I was a classmate of Lloyd’s at St. John’s in Winfield. He was a great athlete. May the power and promise in our Lord’s Resurrection give you comfort and strength at this time. I was a classmate of Lloyd’s in Winfield. In Every memory that I have of Mr Deines he is gentle and kind, and always smiling. May he now find it easier to breath next to our Lord and savior. Lloyd has a special place in all our hearts. Every one loved Lloyd for his sense of humor and interest and love he had for his family and friends. The angels are certainly enjoying this wonderful, handsome man in Heaven. Lloyd will be forever loved. Pauline and family—Our deepest sympathy to you…but we know that Lloyd is now in the arms of Jesus our Savior. It was my privilege to be Lloyd’s roommate at St. John’s and can attest that he was one of the nicest people I have ever known and simply never complained about anything. We enjoyed our time being together. Now we commend him to the Lord and look forward to the day we will join him.